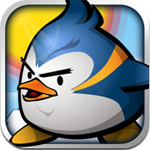 Another app at the top of the charts in the App Store that stars a bird that seems to be somewhat annoyed. A note to designers would probably be to make a game that stars a somewhat cute avian creature on a mission of some sort. Why does this appeal to masses? We may never know. Air Penguin stars a penguin (obviously) that has been separated from its fellow penguins due to global warming splitting up the ice in Antarctica. Your job as the penguin is to hop, fly, and sometimes surf across ice flows to reunite with the separated flock while avoiding falling in the water. Along the way you have to avoid broken ice flows, sharks, flying swordfish, and even turtles you can surf. 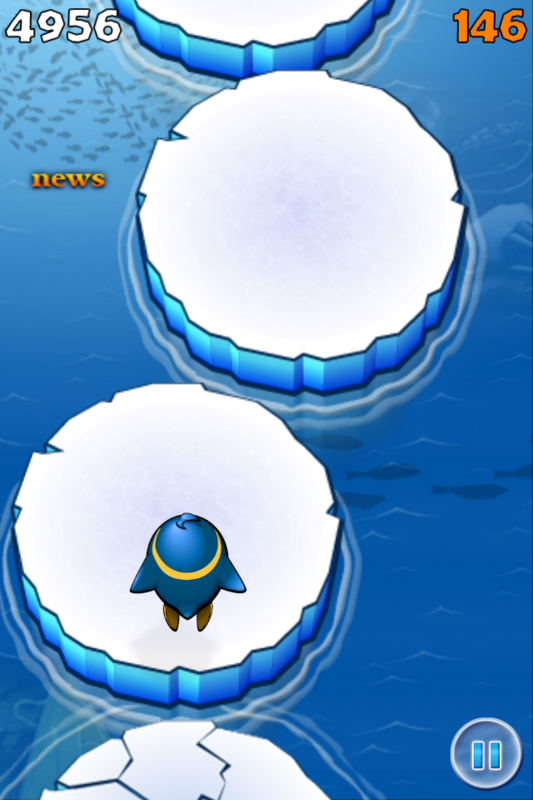 Falling in the water can be frustrating, but you can use the fish (coins) you pick up in game to buy different boosts for yourself. There are different levels to progress through and go very quickly so it feels like you are speeding through the game. There is also an endless mode which just tests how long you can go before dying. The gameplay is simple and can be addictive which has probably made the game as popular as it is. 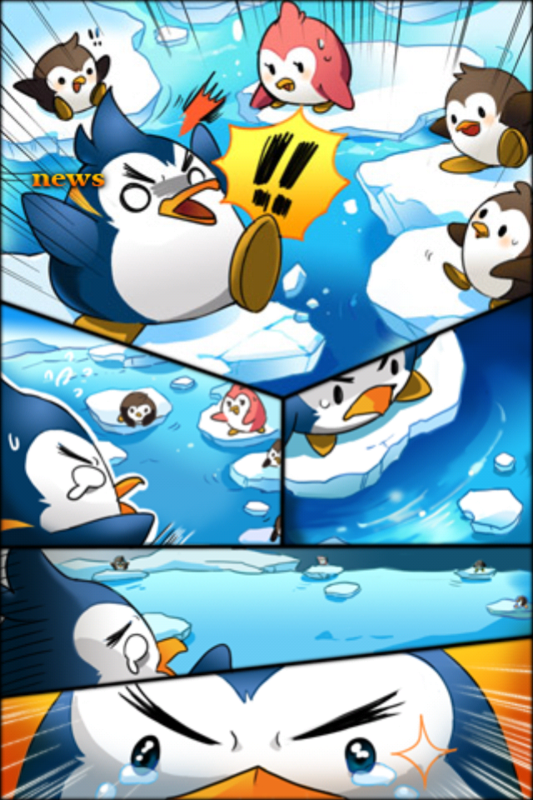 The game utilizes the tilt controls of the iDevices to control the penguin which can be easy at times or frustrating depending on which type of controls you prefer. When you start a new game the app will re-calibrate the device so it will try to run at maximum efficiency. 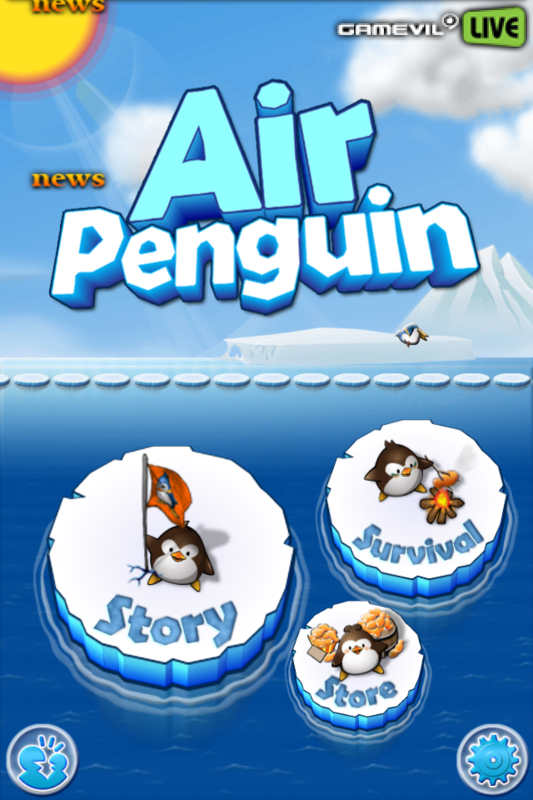 The graphics of the game are mostly blue and white to fit in with the Arctic theme the game has going. Even though the colors are relatively simple they provide a sleek and clean look. One bad point about the game is that it has very bland music that plays on a continuous loop–though that does not really make or break the game since you can even play you own music while you play. Game Center is supported in this app so you can compare all your scores and achievements with friends. All in all, I think that this is a simple, good game that will appeal to the casual crowd. There is not much outside of the story and endless modes, but there should not be due to its casual nature and cheap price. The art is clean and the music bland, but that can be supplemented with your own. For the price of 99 cents you can skip the candy bar or bag of chips for the day and pick up this game.